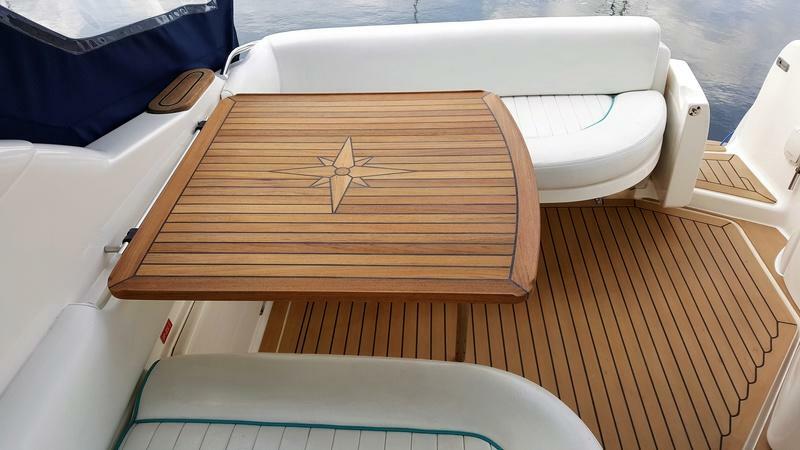 The perfect replacement for the standard manufactures original Sealine S28 table incorporating the Nautic Star and takes only a few minutes to install. 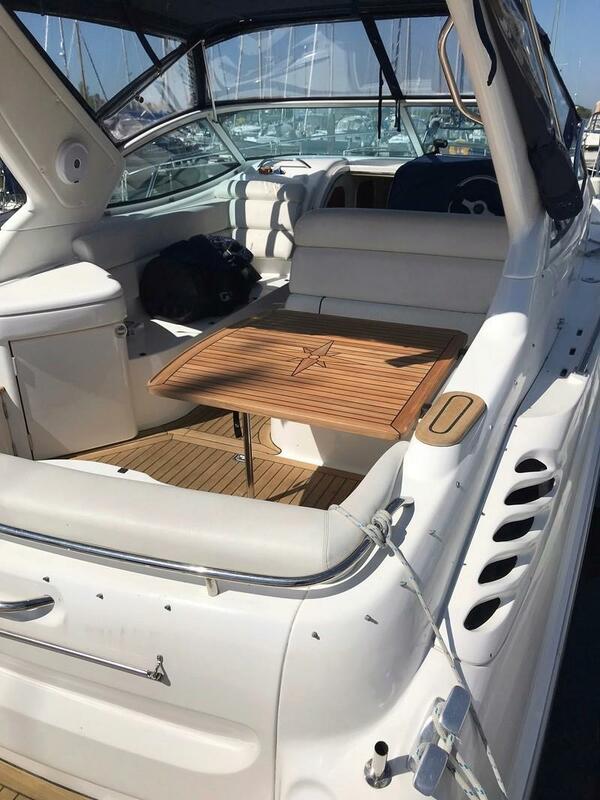 The perfect replacement for the standard manufactures original Sealine S28 table incorporating the Nautic Star and takes only a few minutes to install using the original fittings. 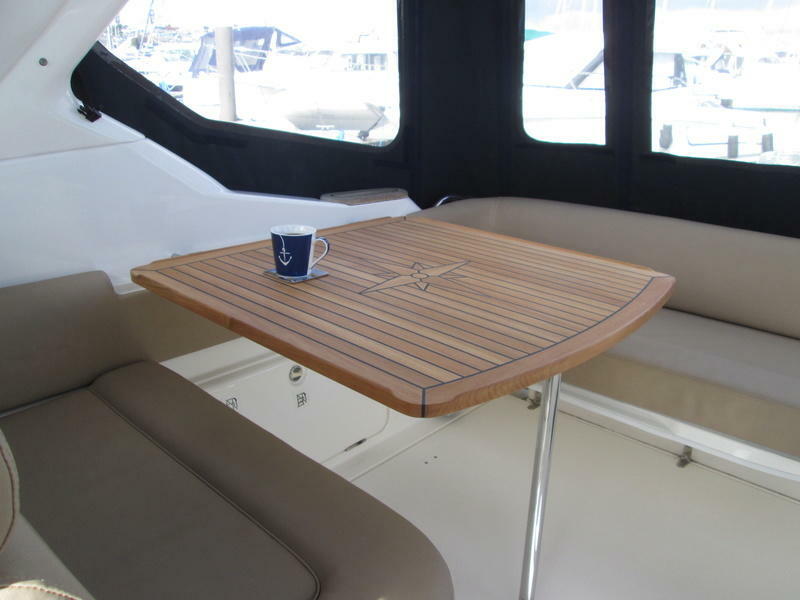 This table will dramatically change the interior of your Sealine. The table is constructed around a twice epoxy treated 19mm thick plywood core which gives huge strength to the table with 6mm thick teat slats applied to the plywood surface. Every outside edge is a solid 45mm. A black caulking compound is used between each slat. This gives the Star S28 table an overall depth of a substancial and chunky 25mm while only weighing 9.2kg. 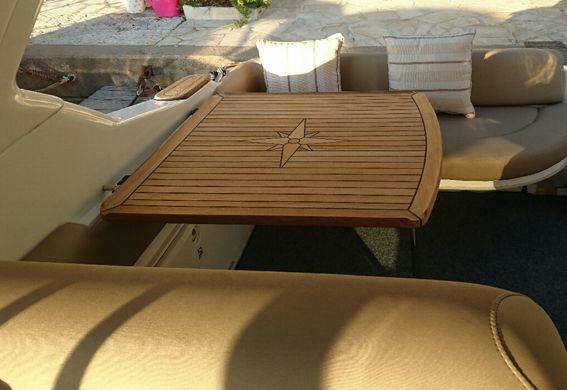 The table is delivered to you in a natural state and is ready to be installed in your boat. However, depending on your needs or environment you may want to treat it - we strongly recommend the use of Semco Natural teak sealer if so, which is available under the Teak Sealer section. The teak used is sourced solely from fully grown trees taken from large plantations which are carefully managed by Indonesia's own forestry department. The manufacturers also hold an FSC Chain of Custody environment certificate, making them one of very few companies in the marine industry able to deliver FSC Certified products. After doing some research I came across this site. I had found a plain teak replacement table for the S28 from another company for £1670.00. I of course went with this company, Marine Teak and can honestly say I don't regret a thing... Fantastic service, amazing quality, fits perfectly, matching the teak flooring and super quick delivery. Not to mention the price.... sensibly priced and worth every penny ! 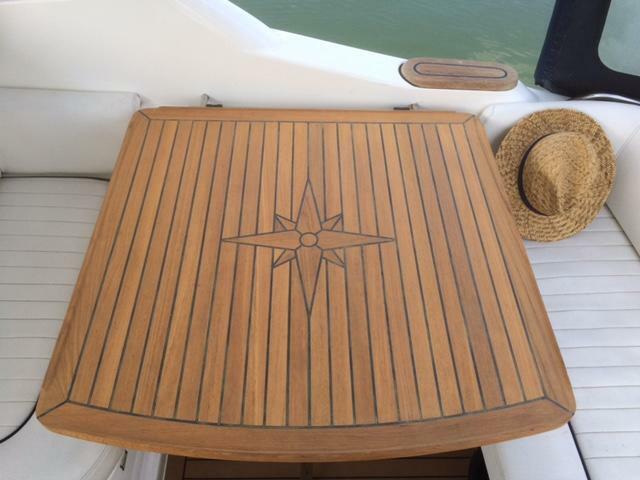 Thank you Marine Teak, I will certainly be recommending you to our boating friends..
Just a quick note to say many thanks for the teak table top that arrived this morning at 8.40am! First of all, as you said, a text came through at 8.15 and at 8.40 there was a knock on the door, what a fantastic service. And secondly the table....wow! It looks even better than the pictures, the corner detail is slightly different and improved, it is stunning, we are so pleased with it and can't wait to install it now on our new (new to us), S28. Oh and the teak matching tray, fabulous, that has put a £1000 on the value already!! 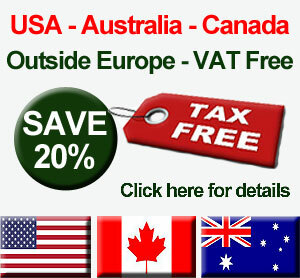 By the way your website is also superb, very professional. Once table in place I will send you a photo, as I don't think you have one of an S28. Thank you very much again. Installing this table really was quick and simple. I should have changed the table long before now, it looks perfect. 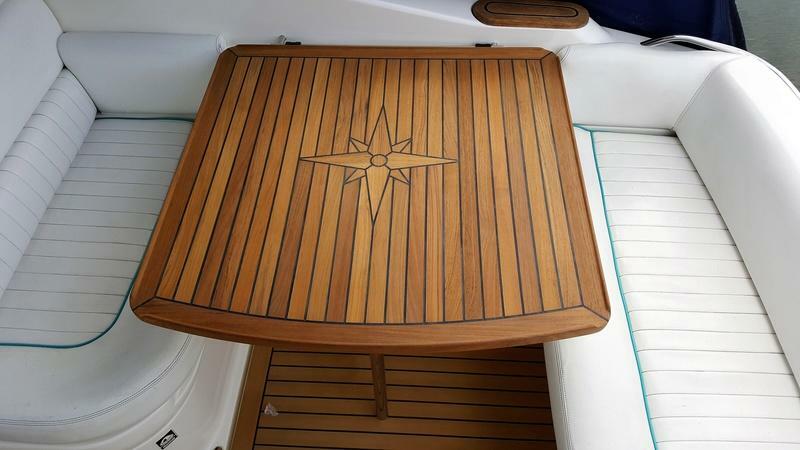 What a refreshing change to have a table that looks excellent on the boat. 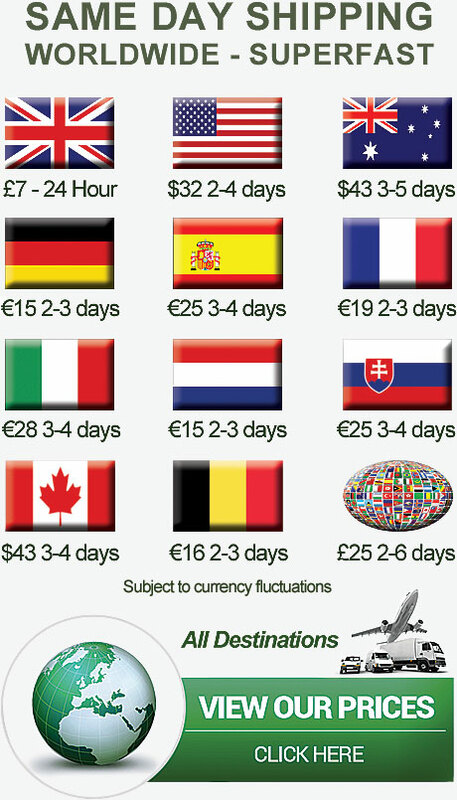 I honestly don't know why companies put on those horrid looking ones when tables like these can be sourced. Fantastic service too and quick delivery.